Since 1981, Kathleen McCann has provided high quality legal services to individuals and families in Clark County and Vancouver, Washington. 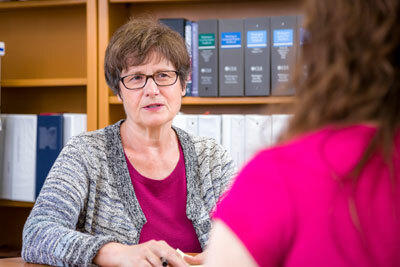 Her practice emphasizes family law, guardianship and probate. Ms. McCann serves the legal needs of diverse clients, making her an insightful and responsive attorney. She strives to provide clients with vigorous representation in court, in negotiation and settlement, sound advice and cost-effective legal services. Her office is conveniently located across the street from the Clark County Courthouse and across the street from the Clark County Family Law Annex. 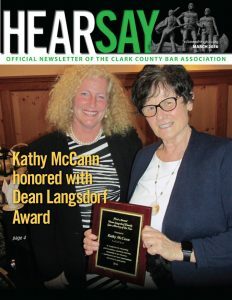 2016 Clark County Bar Association Dean Langsdorf Family Law Attorney of the Year in recognition of outstanding professionalism. Kathleen McCann accepts credit cards: Visa, Mastercard and Discover.